Standing in front of a giant window display with pods formed into a shape like a London bus, the shiny white walls reflecting the summer sunlight and whispered speech echoing delicately around me, I feel as if I could only be in a museum. But I’m not. 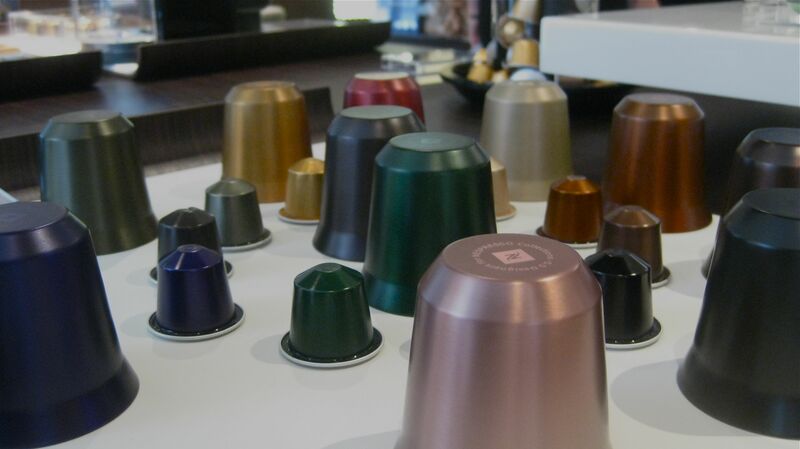 Instead, I’m standing in the new Nespresso store on Regent Street – a flagship among flagships. The new major storefront, which launched this month, did so with much fanfare, even pulling Phil Howard (of Michelin star restaurant, The Square) on board to integrate espresso into a tasting menu for a few lucky folk. This is the latest step for the company which is pushing the idea of in-home, high-quality coffee ever further into consumers’ minds. While on our screens George Clooney swoons over the creamy-topped liquid emerging from his favoured machine, the brand seeks to reach consumers’ minds by creating an “experience” which brings together art with the love of the bean. The new shop is impressive. Situated at the bottom end of Regent Street, the immense space is designed to the esthetic favoured by loft-livers and Banana Republic, clean-cut clothed coffee sippers. Throughout, white cubed tables feature the latest pods and shiny cups and saucers. 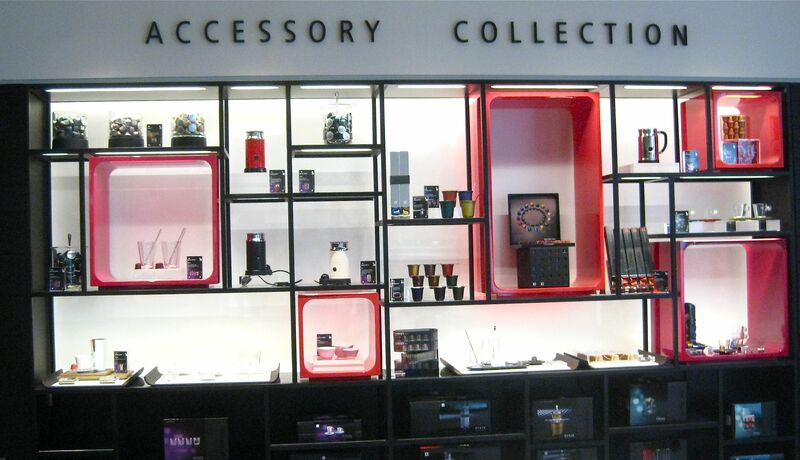 One whole side is dedicated as the ‘Accessory Collection’ harkening to the latest fashion trends in coffee culture. It is, after all, seemingly attempting to capture today’s dedication to a proper cup of alluring caffeine that many of us lust after with ever greater focus. After taking in the new space, I sat down to a meal with the master chef himself, Phil Howard. This is the first time in 21 years he has partnered with a brand, his declaration summing up the idea he was in full support of Nespresso. 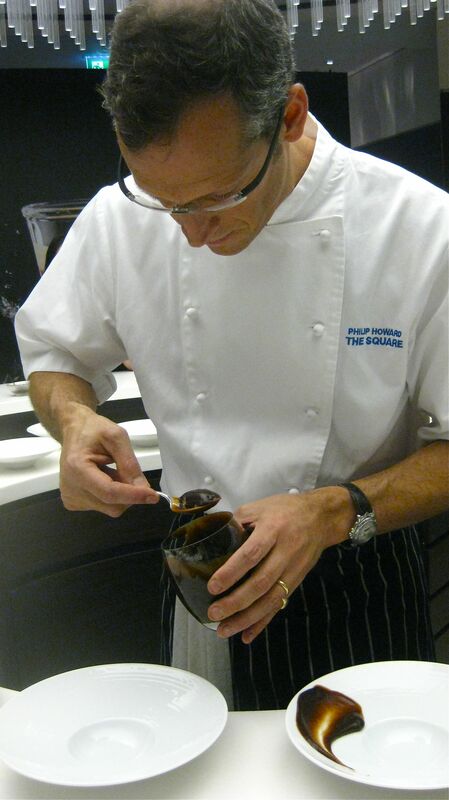 While he said he considered the task of working with coffee beans to create distinct dishes “fascinating” he added it was not always easy. “In savoury cooking, it only works well with dishes that have a sweet element. As long as there’s some sweetness in the dish, it seems to work,” he explained, saying fish was by far the most tricky thing to partner with coffee. 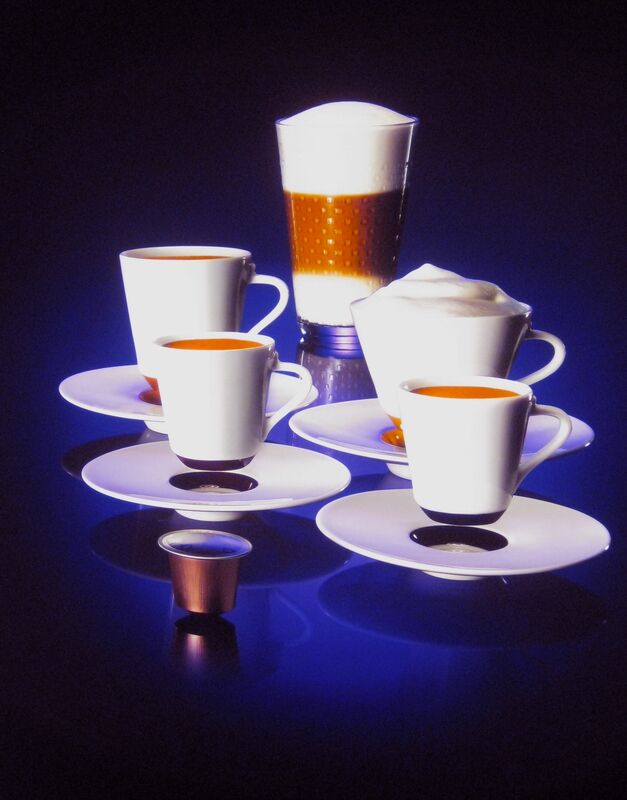 In making his creations, he added he learned to appreciate how many subtleties there are in various versions of coffee, each of which can pair in different ways with myriad foods. I tried his roasted granola with coffee, Greek yoghurt and honey (the recipe for which is below); a smoked venison and pork Scotch egg rolled in coffee grounds and served with an espresso brown sauce; and, a duck liver parfait with port, cherry and currant chutney and coffee nougatine. The first was highly delectable – a crunchy, spicy morning kick that I would happily make at home. The Scotch egg, meanwhile, was deeply flavoured, with a delightfully gooey yolk and just enough espresso bite on the crust and in the brown sauce to make it stand out. The final dish was my favourite however. 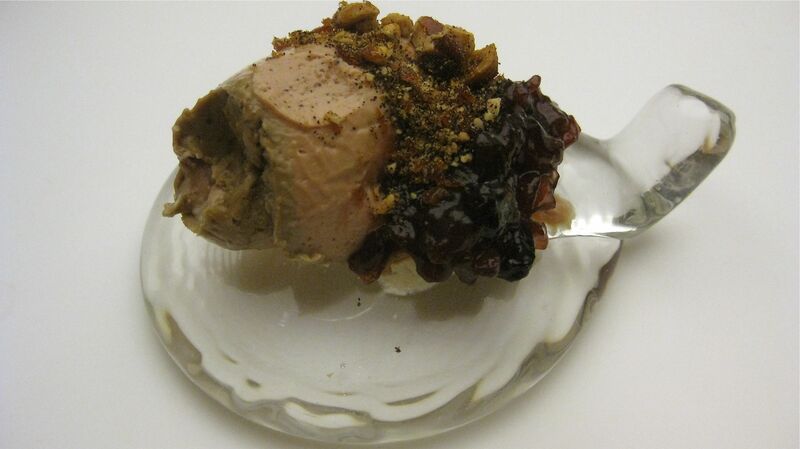 The creamy duck and sweet and sour chutney did a merengue in my mouth with the Rosabaya de Colombia coffee nougatine. Muy excelente! While Phil won’t be on hand to cook for those patrons who find themselves tip-toeing around the vaulted Nespresso store space in future, I can confidently pass on the details that his creations (more of which you can view on the Nespresso site, here) will make you rethink how coffee can be used in dozens of delectable dishes. For now, I invite you to give the granola recipe a go – and let me know if it delights you too! Place all of the ingredients except the coffee grounds into a large bowl and stir them thoroughly until they are evenly distributed. Place the mix into a large baking tray and bake for 15 minutes, stirring every 5 minutes. Add the Nespresso Dulsão do Brasil grounds and continue baking until the contents of the tray are golden brown – no darker. Remove from the oven, set aside to cool and store in an airtight container. 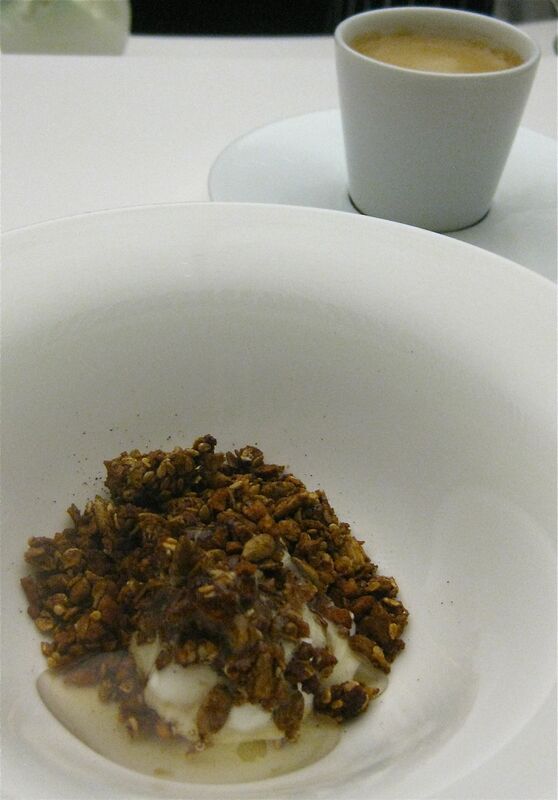 To serve: place the yoghurt into a small bowl, drizzle with the honey and finish with a covering of granola.